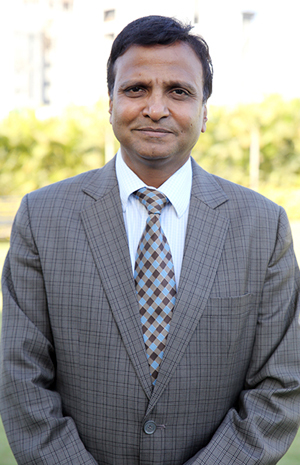 The Chairman and Managing Director of Kumar Urban Development Ltd. He is the winner of Man of the year in the year 2008 by Accomodation Times, Rashtriya Udyog Samman Puraskar for individual achievements in economic development in 2006, Pune Ratna Award for contribution in social and business field, 2006 and Nirman Bharti Rashtriya Samman for contribution for economic growth and social development by All India Business and Community Foundation (AIBCF), 2006. With his Company Motto - “We Build Trust” - he practices what he preaches. Small wonder his business grew manifold and Kumar Builders quickly became synonymous with quality real estate of Pune. Presenting environment friendly projects, KUL is one of the first developers to have received the coveted ISO 14001 certification under 2004 guidelines, globally The company, under Mr Jain’s leadership, has been hounoured with the National Shrusti Award for contribution to environment as it was the first developer company to adhere to PMC’s environment norms. It has also won “CNBC CREDAI AWARD” for Best Commercial Building Systems, City Scapes’ “Future City Award”, “Amacus” Best Developer Award, “Best Regional Developer Award” by Realty Plus. KUL is rated as one of the top 10 developers of INDIA by Construction World Magazine in 2009.